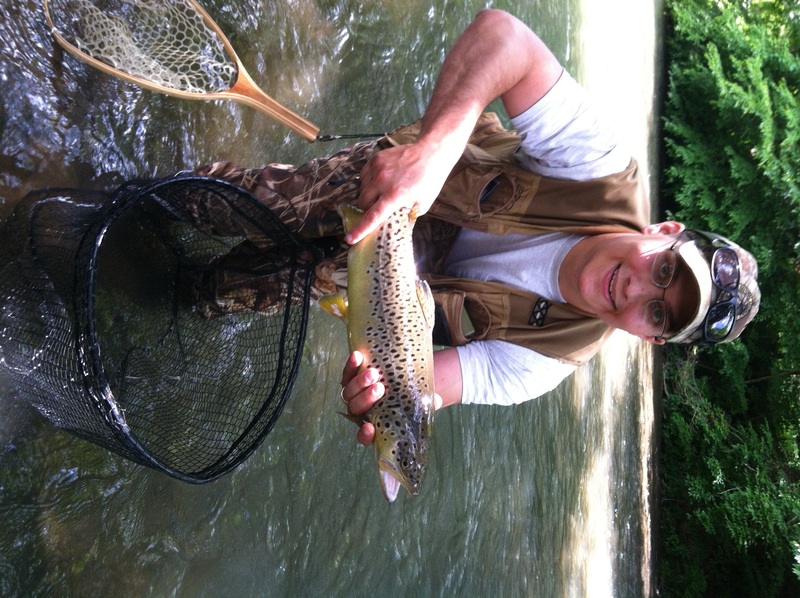 Andy Surra, TSO Editor, spent a day with the Spring Ridge Club on Pennsylvania’s famed Spruce Creek. 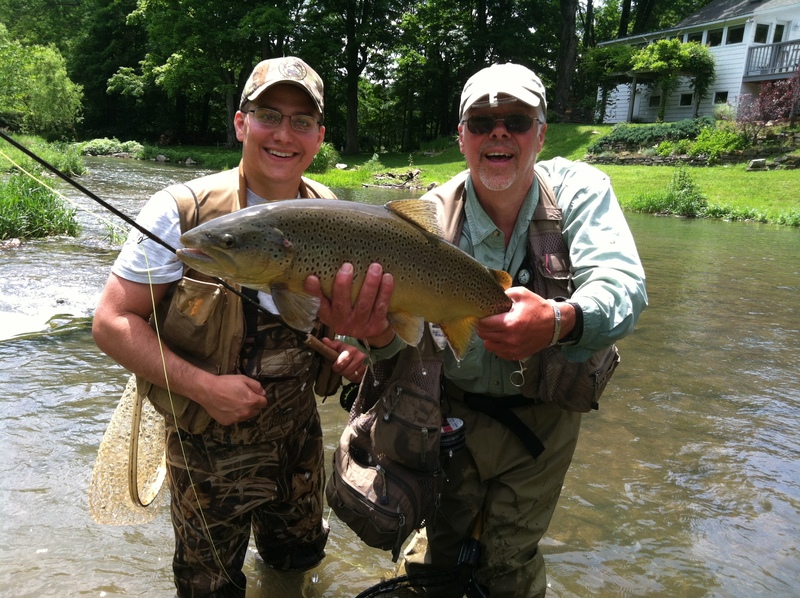 Few Fisherman are lucky enough to grace the banks of Pennsylvania’s famed Limestone creeks that make up the Spring Ridge Club’s trophy fly fishing waters. 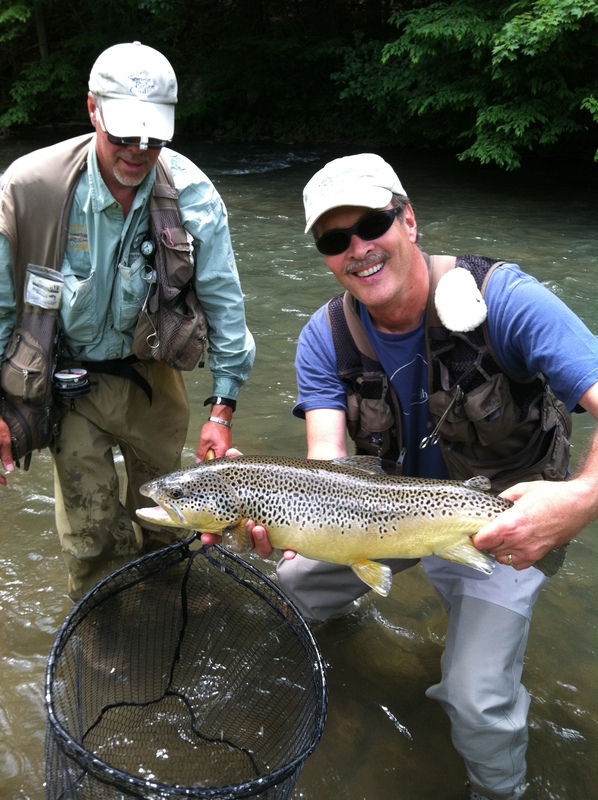 That’s why I was thrilled to accept an invitation from Spring Ridge Club Member and Team Surra Outdoors friend, Glenn Williard, for a fun-filled day of world class fly fishing at Pennsylvania’s premier fly fishing destination. The Limestone creeks make up less than three percent of the world’s trout streams. Access to these exclusive natural spring fed cool water creeks give the Spring Ridge Club perfect trout fishing conditions year round with water temperatures that stay near 50 degrees F.
These creeks provide copious hatches in an environment where insects thrive and trout feed regularly. When the environment is matched with a strictly enforced catch and release program that spans decades, the result is fish growing to healthy extremes. You can find an abundance of large wild trout at the Spring Ridge Club that are only limited by genetics. Glenn Williard (pictured above) and his guests (which included me) were all eager to hit Spruce Creek on the morning of our day trip. We knew we would have the opportunity to make casts from the same locations as celebrities, athletes, executives, and even U.S. presidents such as Dwight Eisenhower and Jimmy Carter. In the morning we were split into pairs and each pair was given a guide for the day. Our guides were friendly, knowledgable, worked tirelessly to provided a full service fishing experience. Our guides did everything including casting instruction, fly tying, netting, handling and releasing of fish. They were focused and committed to putting us on big fish and finding a nymph patterns that would entice a bite. We had great success with pheasant tail nymphs, prince nymphs, and olive soft hackles that imitate Slate Drakes and Olive mayflies. Fun Facts: The Spring Ridge Club ensures top quality fishing by limiting the access to all of the clubs waters. In fact, each stretch rests approximately 50 percent of the time and are only fished after they have rested. The club’s steadily increasing membership has provided the means for Spring Ridge Club to conserve over 30 miles of blue-ribbon Pennsylvania fly-fishing waters. The cabins at “home waters” in Spruce Creek, PA are top-tier accommodations that include a morning breakfast and a trip to the tackle shop where you can rent/buy any and all equipment from waders and flies to polarized glasses. This truly was an amazing experience from beginning to end. 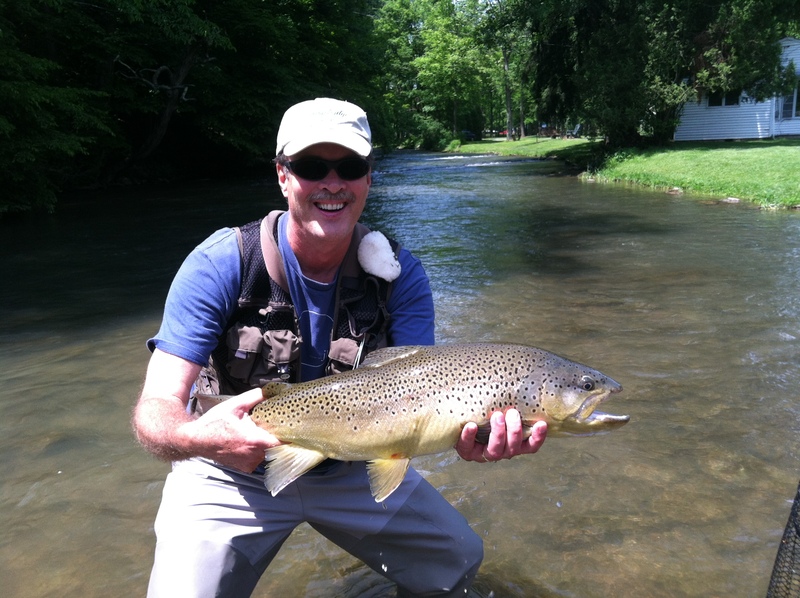 Spring Ridge can boast world class fly fishing and unparalleled guiding services right here in Pennsylvania. Our trip to the banks of Spruce Creek is far and away the single greatest fly fishing experience of my life. I can only hope that I will be lucky enough to do it again. At one point our guide, Bill, welcomed us to a particular stretch of Spruce Creek by saying, “Welcome to the Disney World of fly fishing gentlemen”. I can fully attest that he was not exaggerating!! We caught 20+ inch trout all day long. Beautiful rainbows and brown trout gobbled our flies from early morning to late afternoon. It was 8 hours of pure bliss. If you ever get the opportunity to fish with the Spring Ridge Club cancel any plans you may have and make it a point to hit the banks of their Limestone creeks. Check out their website for information regarding memberships and all things Fly Fishing. As always send questions to teamsurra@gmail.com. Be sure to “like” us on Facebook and follow us on Twitter @SurraOutdoors.